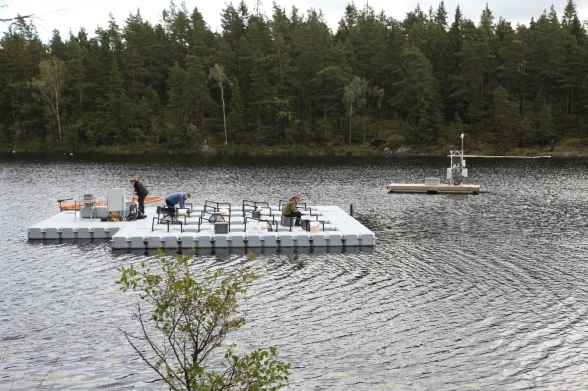 SITES AquaNet is a standardized infrastructure for national and international researches to run mesocosm experiments in lakes at Asa, Erken, Skogaryd, Svartberget and Bolmen field stations. The experimental infrastructure is now fully operational for national and international researches to conduct experiments. Applications can now be made for using the infrastructure during 2019 by filling in the this form. More information can be found here. 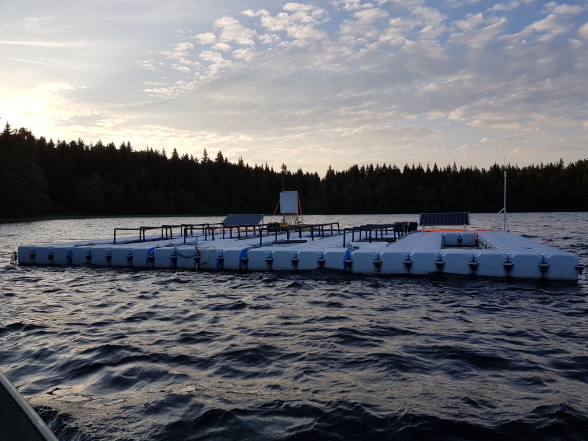 Open access to equipment to run mesocosm experiments in one or more lakes spread across a geographical and climatic gradient in Sweden. Experimental and technical support from qualified station´s personnel. Linkage of experimental results to lake time series data and stream-lake interactions in collaboration with the sister monitoring project SITES Water (coordinator: leif.klemedtsson@gu.se). The infrastructure is located in four SITES stations (Svartberget, Erken, Skogaryd and Asa and an associated station at lake Bolmen, which is operated by Swedish Water Research/Sydvatten) and hence enables modularized experimental manipulations in lakes along a latitudinal gradient in Sweden. The lakes in each respective station (Stortjärn, Erken, Erssjön, Feresjön and Bolmen) vary in local environmental conditions. This allows achieving general conclusions on ecological phenomena; particularly how local differences between important variables across sites (e.g., temperature, elevation, nutrients and water colour) mediate the outcomes of experimental manipulations of explanatory predictors for the phenomena. 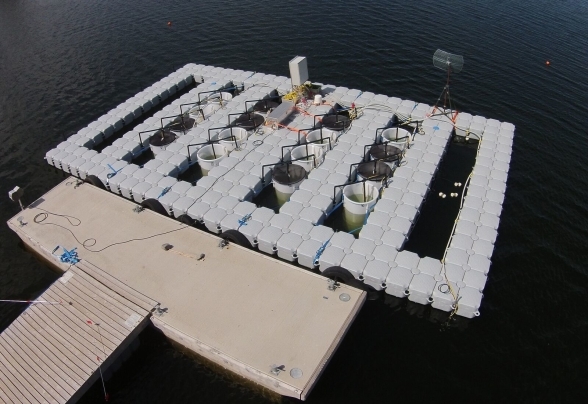 Each site is equipped with a jetfloat deployed in its local lake with 16-20 polyethylen cylindrical enclosures (700 L, 1.5 m deep, 0.8m Ø). Experimental manipulations can also be done in easily assembled polyethylen film enclosures with different shapes and dimensions, and the jetfloat can be moved to different locations (even other nearby lakes) and re-structured to fit various experimental needs. The experimental facilities have a sensor and datalogging system to measure in each mesocosm real-time environmental parameters, such as DO, temperature, photosynthetic active radiation, chlorophyll, phycocyanin and turbidity. In addition, handheld sensor units offer the possibility to measure in situ pH and conductivity. This technical arrangement of sensors is unique worldwide and it allows researchers to capture much better ecological responses and at temporal scales that were not possible before. More information about the sensor system can be found here. 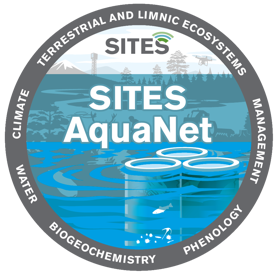 SITES AquaNet has established protocols to standardize both field and laboratory work. Each station is equipped with field equipment for collection of samples and there is access to cold storage, freezing rooms and laboratory facilities for filtering and extraction of samples for a wide range of analyses. There is also connection to laboratories for further sample analyses at the Swedish University of Agricultural Sciences, Umeå University, Uppsala University or Gothenburg University. In all stations there is available accommodation for researches in either in situ facilities or nearby hostels. The versatility of the experimental facility enables researches to address questions in many different topics: biodiversity-functioning-stability relationships, community ecology, ecological stoichiometry, food web interactions, benthic-pelagic dynamics, biogeochemistry (e.g., nutrient cycling), land-water-air gas exchange, plant physiology, cyanobacterial blooms and global change research. (iv) produce a test case to promote the infrastructure nationally and internationally with the purpose to further achieve a larger, global endeavor similar to the Nutrient Network in grassland ecosystems. (iv) press and pulse disturbances combined. This experimental design then allowed to address the response of multiple aspects of ecology stability (resistance, recovery, resilience and temporal stability) of both community structural and functional response variables and to investigate how these relate to each other in order to further our understanding in current diversity-stability theory. SITES AquaNet expects to upload these experimental data to a publicly available SITES server, so that researches can use it to produce scientific publications. A publication policy for the use of this data will also be available at this website with the purpose to promote those actions and hence SITES AquaNet both nationally and internationally. Field and lab protocols 2017. 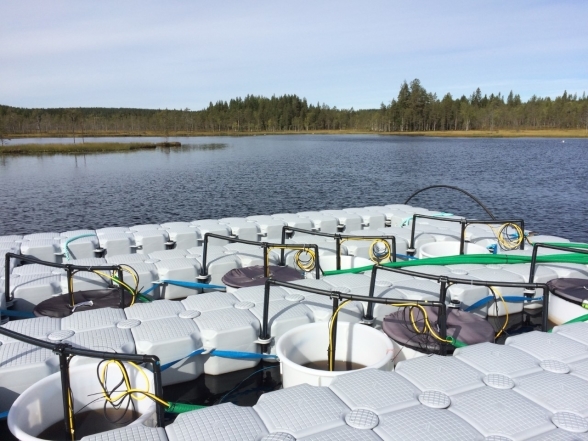 The stations at Asa, Erken and Svartberget participated in a global mesocosm project organized by GLEON (Global Lake Observatory Network) together with researchers at Uppsala, Umeå and Kalmar Universities. The major aim was to investigate effects of salinization of inland waters on plankton communities.